Find out how much money you can save by smoking Vapur® personal vaporizers instead of regular cigarettes. You spend $ a year currently. With Vapur® personal purifiers you will save $ a year. We make no health or medical claims for this device. Not for sale or use by anyone under the age of 18 years. 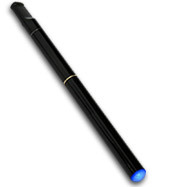 This is not a medical device and is not intended to be used as a smoking cessation device. This device contains no tobacco. This statement has not been evaluated by the FDA. Disclaimer: Nicotine is an extremely toxic poison. Inhalation, skin contact and swallowing may cause death. Rinse and wash immediately if skin or other exposure occurs.